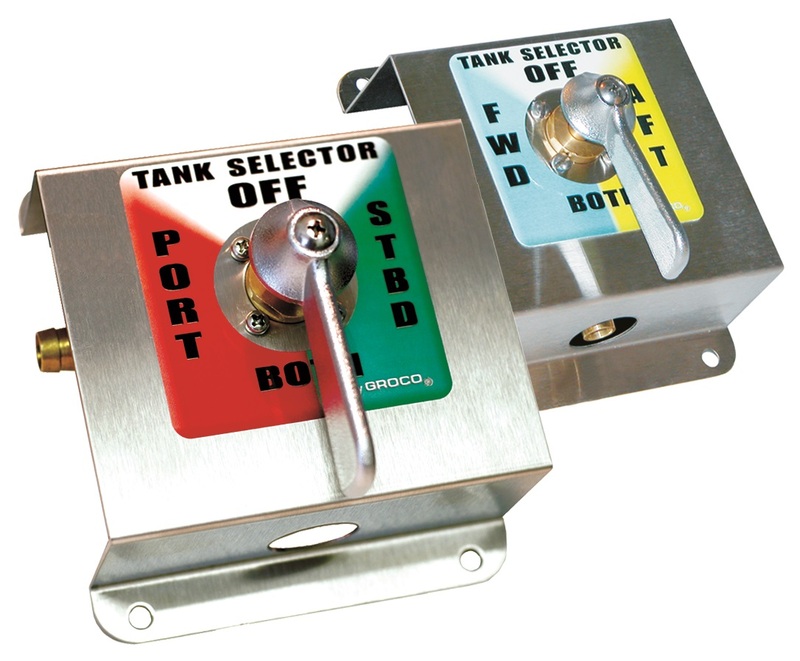 TS-350-T Tank Selector Kit utilizes FV-450-X full flow valve mounted on an attractive stainless steel mount bracket and plumbed with (2) ½" straight hose barbs and (1) 7/16" 90-degree hose barb. Two labels are provided to match your installation (port/ starboard or fore/aft). Handle can be relocated in 90-degree increments to align plumbing. Four Positions: Tank-1, Tank-2, Tanks 1 & 2, Off. Audible “click” at each handle position.